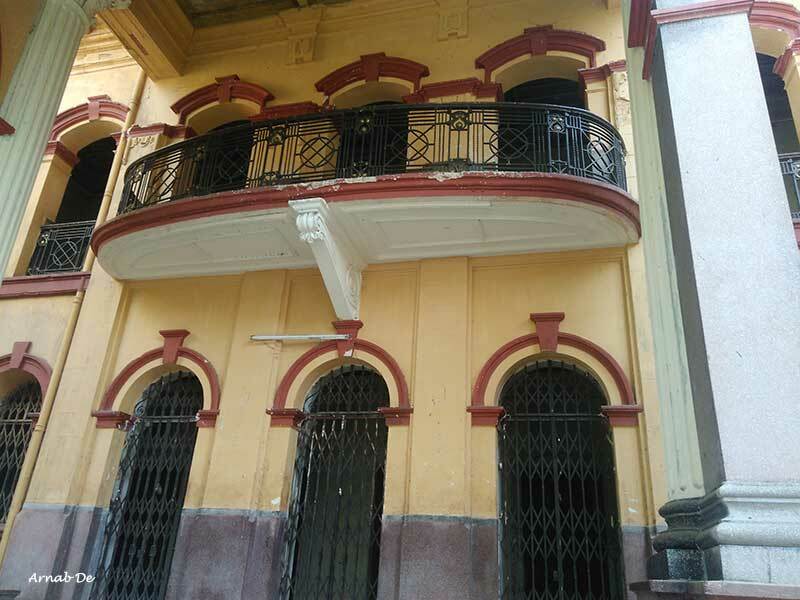 Located on 35/2/A, Khudiram Bose Road in Tala area, Dhurjati Dham, a beautiful Victorian building, is miserably concealed by the gigantic constructions of the Metro Railways, adjoining the Belgachhia Metro station. 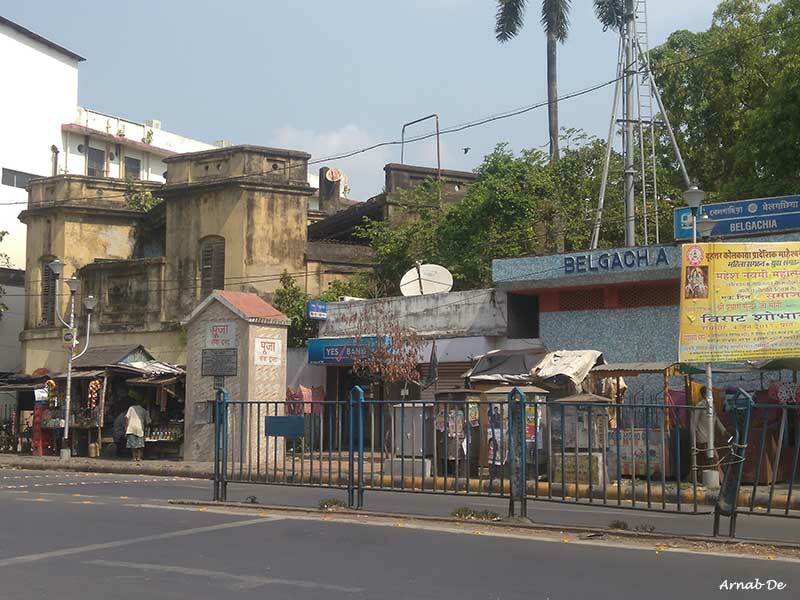 Before the Metro authorities had acquired the land in front of the building and obstructed the view with the construction of a new building, Dhurjati Dham was open to Belgachhia Road. However, today one can only access the building through a narrow lane behind the Metro station, which is used as an auto-rickshaw stand. 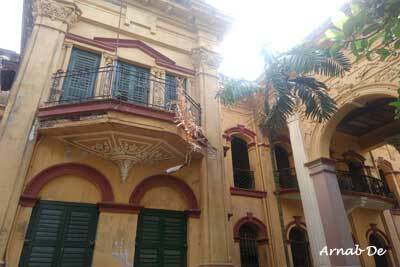 Strangely, for reasons unknown, the old palatial building is often referred to as ‘Belgachhia Palace’. At the advent of the 20th century, the massive building was constructed by Narayan Kisson Sen, under supervision of Martin Burn Company. It is said that, Narayan Kisson Sen was one of the direct descendants of the legendary Gouri Sen, who was famous for his immense wealth and unbelievable charity. The popular saying ‘Laagey Taka Debey Gouri Sen’, which means, ‘if money is needed, Gouri Sen will arrange to supply that’, is still a valid common proverb in this part of the Country. Narayan Kisson Sen was keen to arrange the marriage ceremony of his beloved grandson Sisir Sen with a particular girl of his choice from the distinguished and illustrious Mullick family of Pathuriaghata. But, for reasons best known to him, Narayan Kisson’s son, Jugal Kishore was dead against this decision of his father. He opposed the decision so vehemently and adamantly that ultimately Narayan Kisson got frustrated and extremely mad at his son. At the final outcome of this unpleasant family dispute, Narayan Kisson disowned Jugal Kishore as his son and disinherited him from his property. Insulted and humiliated, Jugal Kishore left his father’s residence and shifted to a house at Raja Nabakrishna Street with his family. 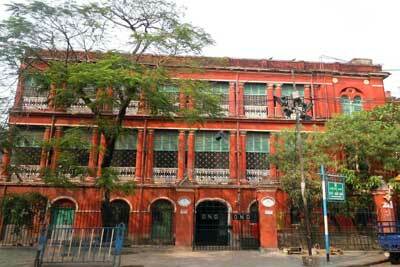 The chain of direct descendent of Narayan Kisson was thus ended unceremoniously and tragically. 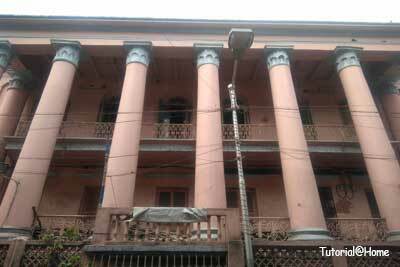 Ridiculously, the present owners of the building are the inheritors of the Mullick family and are also the descendants of Narayan Kisson Sen, though they are descendants from his daughter’s side. 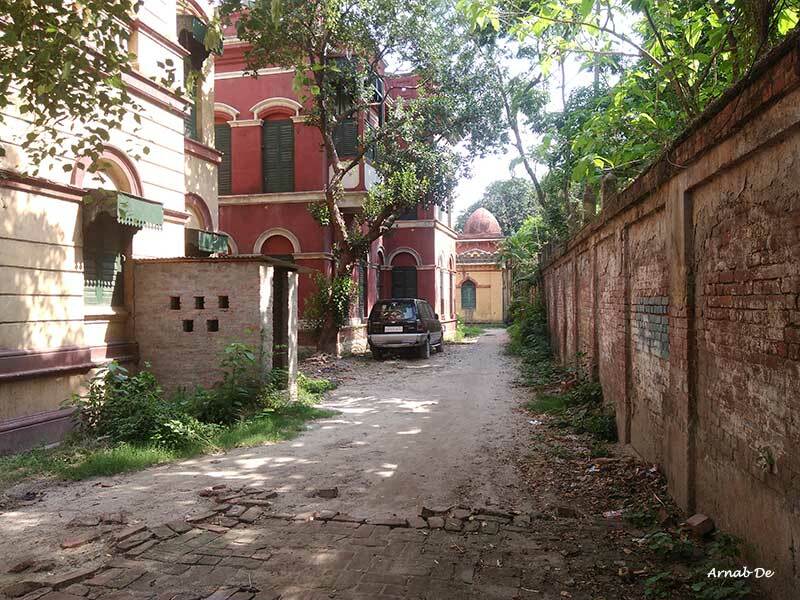 An elderly man, named Shailendranath Mullick, a grandson of Narayan Kisson Sen, was in charge of the palace a few years ago. He used to cordially receive the visitors and guided them to show the grandeur of the palace. His widowed grandmother, Bhagabati Dasi, entrusted him with the duties and responsibilities of the trusteeship of this property. 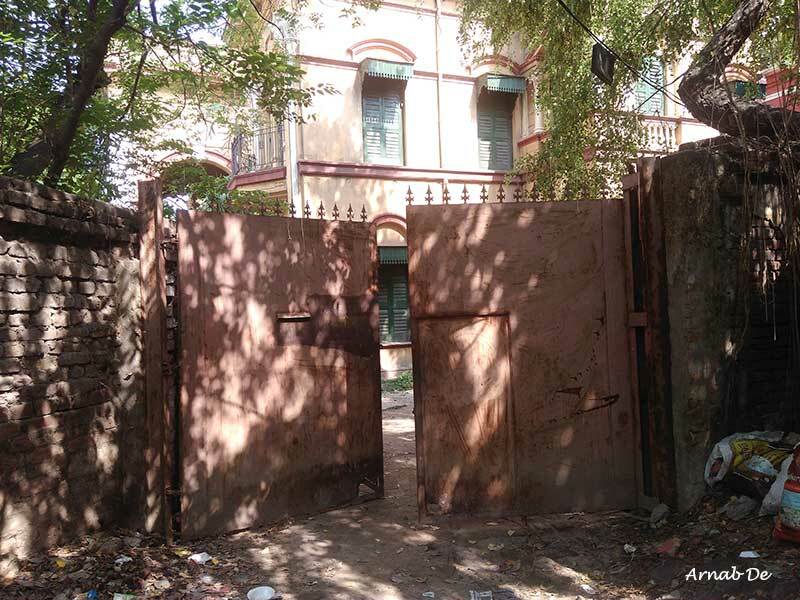 Shailendranath passed away a few years ago and as he was unmarried, some of his distant relatives are the present owners of the place, who often rent the house for the purpose of shooting of films or TV serials and earning money in return. Today it cannot be said that the enormous building is well maintained. 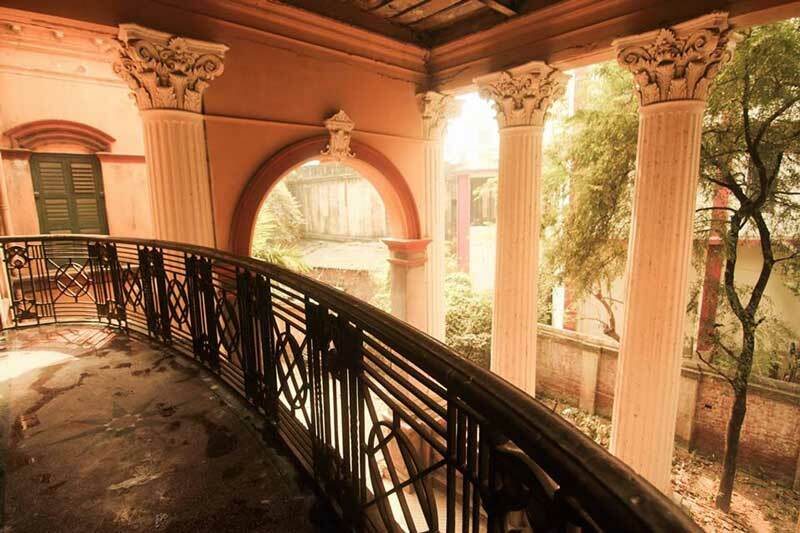 There is a beautiful ‘Porte Cochere’, known as ‘Gari Baranda’ in Bengali language, a porch where vehicles of the dignitaries used to stop for the passengers to embark or disembark at the entrance of the building, just below the balcony above. Marble elephants stood on each side of the door and in front of it were a bust of Alexander the Great. The majestic flight of stairs of marble, with a glass atrium above it, leads to the entrance of the private area. It is said that in earlier days there also stood a huge life-sized wooden bear here. 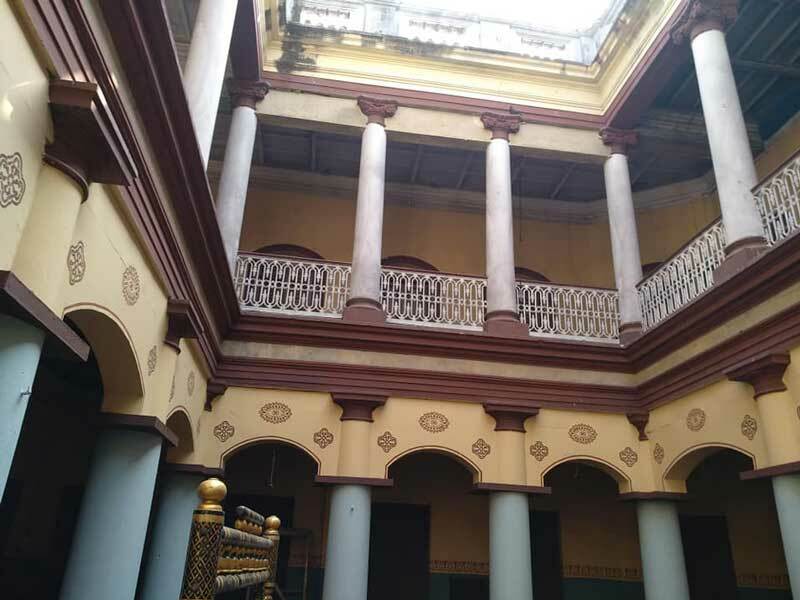 Undoubtedly, the main attraction of the building is its palatial staircase ornamented with wrought iron banister and the glass covered roof above it. 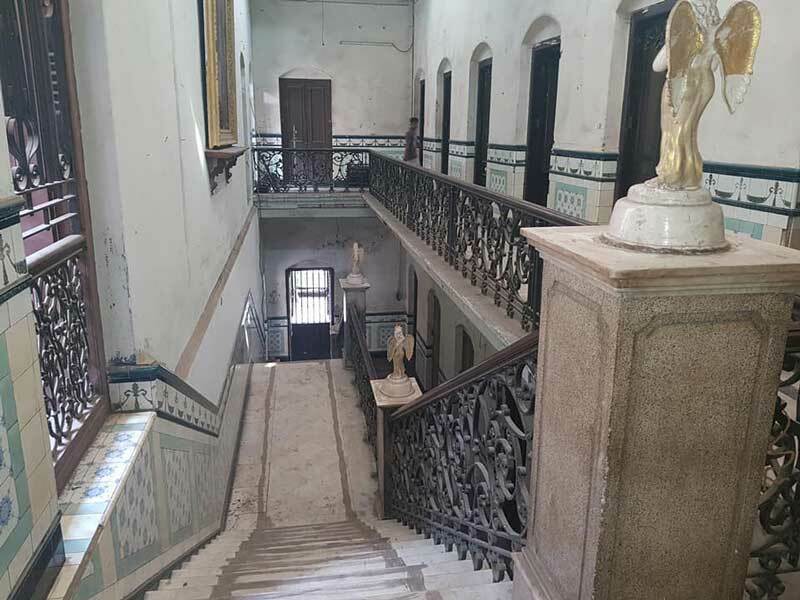 The glass atrium usually remains covered for ages with dirt and dust and casually cleaned only during the shooting of a film or a TV serial, allowing the sunlight to peep through it and slightly brighten the otherwise dim and dark corridor and the neglected stairs. The ornamented wrought iron banister is lined with four statues of maidens holding lamps. The staircase ends at a long corridor leading to the balcony. Though the walls of the drawing room are decorated with floral paintings, the other rooms are devoid of any decoration. 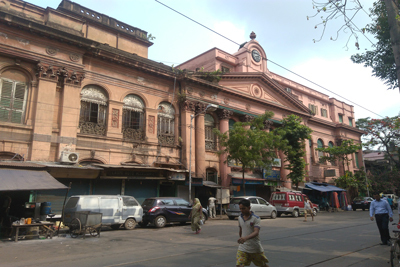 The hall on the first floor, with wall-to-wall carpet was used by Late Satyajit Ray for the shooting of his famous film ‘Jalsaghar’. It has Belgium looking glasses at both the ends, along with ‘golden sets’, ornamental lamps, in all the four corners. Glass and metal leaves, fruits and flowers sprouted from the beautiful garden sets, with a monkey and a peacock perched on two of them. 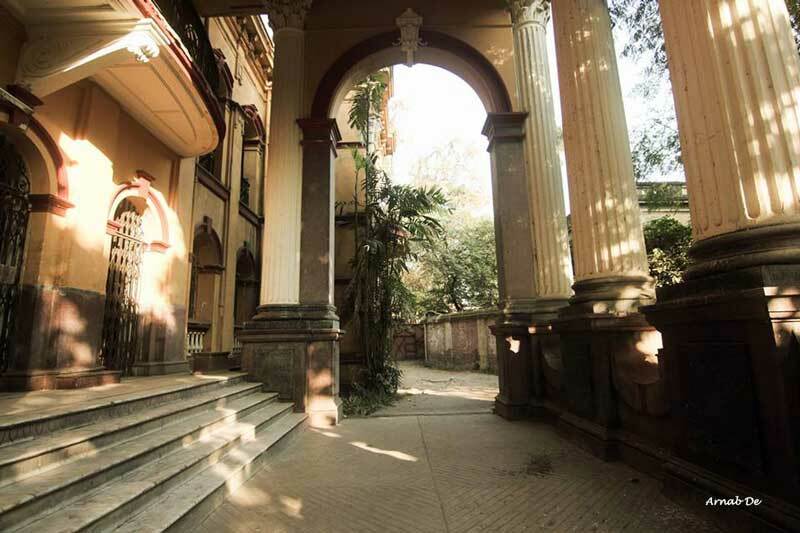 Dhurjati Dham also has a courtyard, decorated with Ionic columns on the first floor and Doric columns on the ground floor. There was a time, when dramas and Jatras were staged in the courtyard. 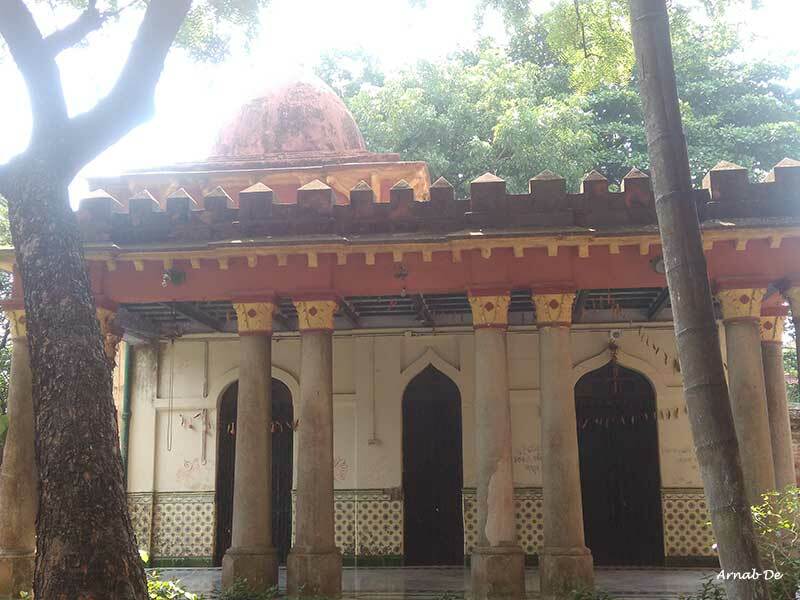 There is an ordinary and unimpressive temple of Lord Shiva (Dhurjati) in the backyard of the building, apart from a pond and fruit garden covering two bighas. 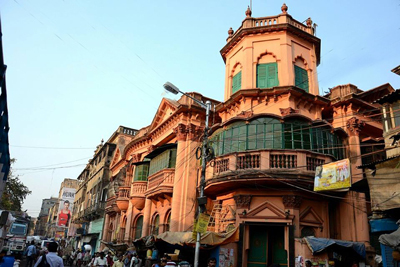 The eminent poet and filmmaker Late Purnendu Patri, who also used the building for the shooting of his film ’Strir Patra’, mentioned in his book ‘Kolkata, Kolkata’ about the grandeur of the Persian carpets, French bronze statues, and Greek vases in the building. 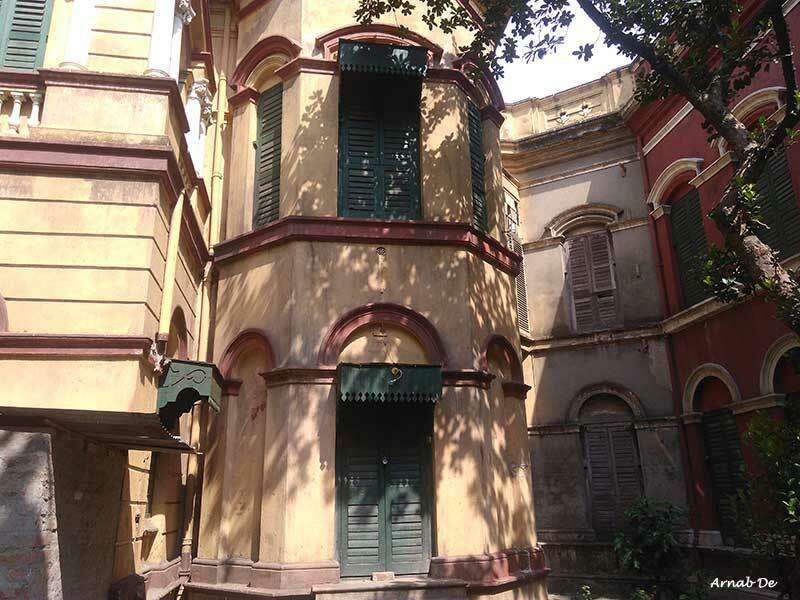 Unfortunately, nothing is left there now, except the old Grandfather clock near the staircase, there were ornamental lamps in the main hall, quite a number of Belgium mirrors, statues of maidens holding lamps along the banister of the staircase and a huge wall painting of the Narayan Kisson Sen over the staircase, covered with dirt and dust.